After the long chaotic presidential lections Kenya has had,changes have been proposed to aid in avoiding similar instances in the future. For instance the Independent Electoral and Boundaries Commission (IEBC) has recommended the integration of the national citizen registration database with the voters’ roll to create a central reference point for authentication of the register of voters. The proposal is among measures outlined by the poll agency in a post-election evaluation report published Tuesday. Chairperson Wafula Chebukati said the integration would boost credibility of the voters’ register. “IEBC only registers people who are 18-years-old and above and will continue to do so. We’re only saying it would be easy for us to run our register against the citizen registration database to verify the registered voters,” he said. Commissioner Abdi Guliye told reporters integration of the citizen registration database to the voter register will enable election officials to counter check the authenticity of documents presented by prospecting voters for listing. “If we’re checking anyone we register against a national database that ensures that the people who are registered are actually genuine Kenyans,” Guliye who chairs IEBC’s Research, Technology and Strategy Committee said. 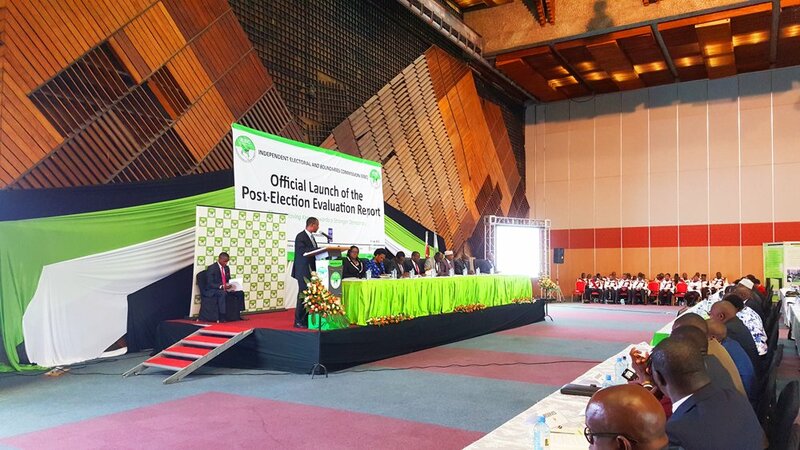 “The whole idea is to have a reference database so that the IEBC can quality-check to address the issues of duplication and other errors,” he added. Shock As Missing Human rights activist is found dead.